€24.40 from Le Caveau; Baggot St. Wines; MacGuinness, Dundalk; Green Man Wines, Terenure; World Wide Wines Waterford; Redmond’s, Ranelagh. 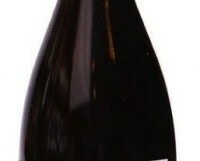 Elegant and nicely concentrated with delicious cool dark cherry fruits. It does have some light tannins, and so will probably keep for a year or two, but drinking beautifully now. Ideal with white meats, chicken and charcuterie. Maranges is the most southerly name of the Côte d’Or, right beside Santenay (see above). Jean-Claude Regnaudot produces great value wines from this appellation; his Bourgogne Rouge, which sells for around €18, is always worth buying, and this wine, from old vines in his best single vineyard, is a steal at less than €25.